If you’re currently running macOS Mojave, you can re-download a macOS High Sierra installer for whatever reason to macOS Mojave. 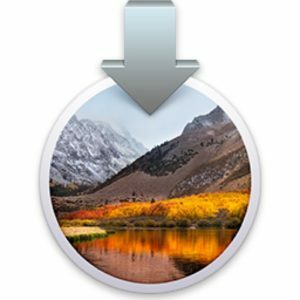 Re-downloading older versions of macOS system software can be desirable for a variety of reasons, and in this case getting the older High Sierra release is most often to create a macOS High Sierra USB installer or for running an older macOS release in a virtual machine or something of that nature. If you’ve searched the Mac App Store from Mojave, you’ve probably noticed the High Sierra installer is nowhere to be found. But not to worry, we’ll show you how you can download macOS High Sierra 10.13.6 from macOS Mojave 10.14. Once you have the macOS High Sierra installer you can copy it elsewhere, use it for making a bootable macOS High Sierra installer, use it for installing macOS High Sierra into a virtual machine like Parallels, for setting up a dual-boot environment, or whatever else is necessary. Note that this is not a downgrade process nor is it intended to be, it’s merely downloading the macOS High Sierra installer onto a Mac running the newer macOS Mojave release. You can not install an older macOS release over a newer release. Instead, if you want to downgrade for whatever reason, your best bet would be to downgrade from macOS Mojave to High Sierra (or earlier) by using Time Machine backups made prior to the initial Mojave update. 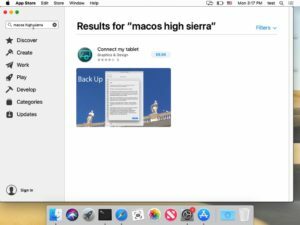 Another option would be to perform a macOS High Sierra clean install, though a clean install completely erases a Mac and removes all data from the computer, making it less practical for most users given that most users want to maintain their personal data. Interestingly enough, if you try and search the Mac App Store for “macOS High Sierra” from within macOS Mojave, you will not find the installer in the Mac App Store listings. 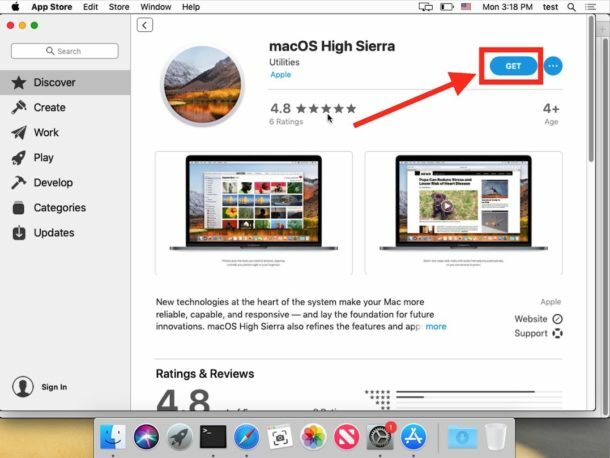 For whatever reason, Apple has hidden the installer, and thus you must click on a direct download link that opens directly to the MacOS High Sierra download page within the App Store. Users who had previously downloaded other versions of macOS (including High Sierra) using the same Apple ID can also find the prior macOS releases available from the “Purchases” section of the Mac App Store. 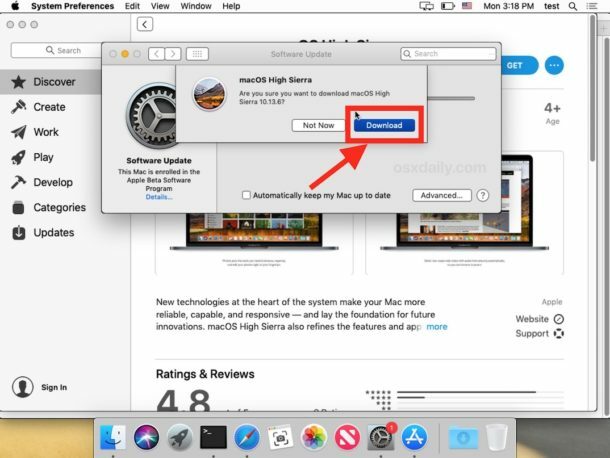 If you know of any other tips or methods to download older versions of MacOS and Mac OS X system software from within MacOS Mojave, share them with us in the comments below! Hey OSXDaily, when we will get a Dark Mode / Dark Theme on this website? Would be awesome, and much easier to read! RE: your tip about finding High Sierra and other versions of the OS in Purchases section for those that previously downloaded the OS installer, that’s the best way to get any previous OS version when a new OS version comes out. Apple always hides the prior versions from download after the new version comes out. Best way to never have this issue for those that have a compatible Mac is always download the new/next OS version when it is out (of beta), regardless if you plan to upgrade or not (if not upgrading, delete installer after download). The download process will register it into the purchases section for future downloading if you ever need it. This can prove useful if you ever skip versions but later want some version in between your the latest version and the version you had prior to upgrading, because the versions in the middle are gone unless you can search up the direct URL for it like this article for a particular previous version. I hope Apple never does away with offering all previous versions of the OS that you’ve ever downloaded/purchased before in the Purchases section. This does not work….. when it gets to the download it just deletes itself. If I am missing something please let me know. I have Mojave and since I’ve had it I can’t scroll horizontally through my image files anymore. I really need to be able to do this. Is there some way I can adjust Mojave to scroll again like this? Otherwise I think I have to uninstall it and use Sierra again. Same result here Alex, no trace of it. Do not get the download option. Running Mojave 10.14.2 and trying to download Sierra from the link shared above. I am running Mojave on a Mac Mini and the older methods for downloading previous versions of Mac OS X (like High Sierra) from the App store simply don’t work any longer (at least for me). I assume that Apple has made changes to the App store application and you cannot see any actual Mac system software that you have (or maybe have not) downloaded in the past. I am certain the changes were made in the last year or two because prior to that I was able to download full installers for older Mac OS X versions. Many thanks, I missed Mac OS 10.13.6. Worked great! Thank you! I have been searching so I could replace the SSD! Many thanks! !